A native of Miami, Andrea grew up on the ocean and around boats. She crossed the Atlantic to attend hospitality school in Switzerland only to return to the East Coast after graduating to work in catering for the award-winning chef and restaurateur Daniel Boulud. 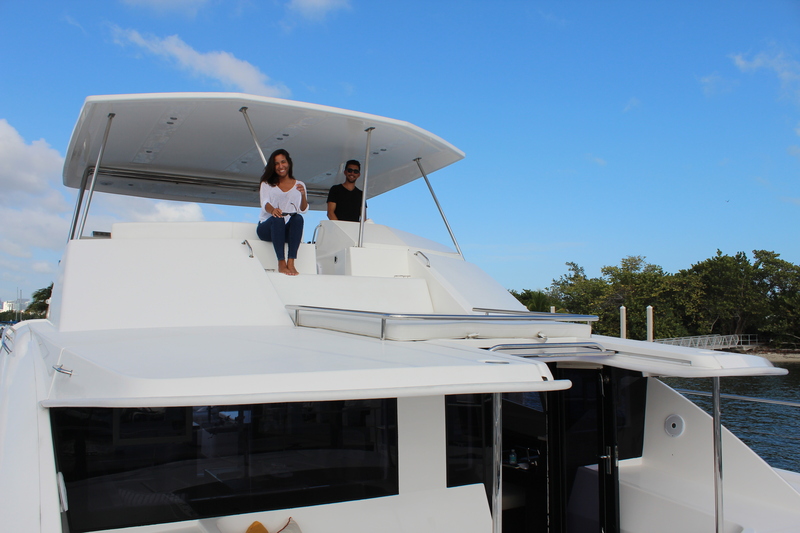 But she always had her eye set on launching her own venture so when her family bought a 51-foot 2013 luxury Robertson and Caine Leopard power catamaran (sleeps 6 to 8 people comfortably) last year, it was the perfect opportunity to combine her passion for hospitality with her love for the water. 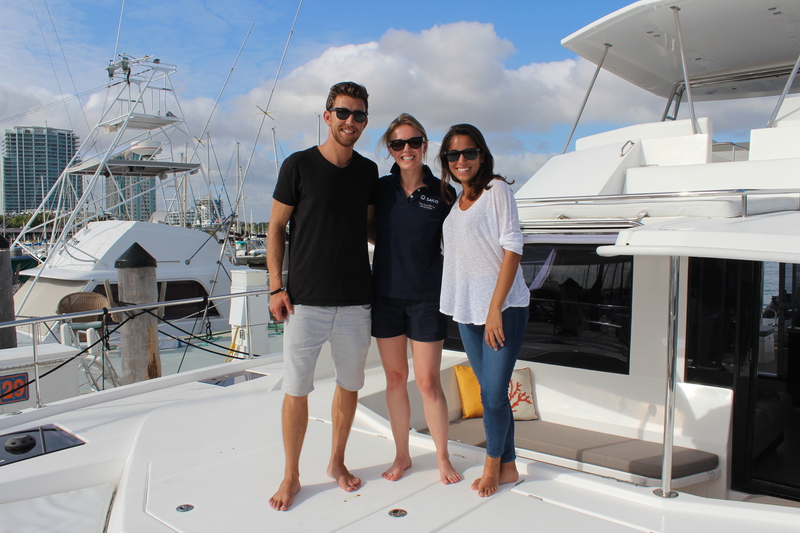 Andrea, the owner of 51-foot power catamaran docked at Dinner Key Marina in Miami, talks about her private boat for rent on Sailo. What’s your best or most memorable boating experience in Miami? I went to the Bahamas with my family at the end of last year. We got to Harbour Island in about a day, and you can hardly feel the trip on our boat because of its size. It’s the most beautiful place ever—the beach has incredible pink sand and the people are so friendly! We stayed at the marina and the cove was filled with lots of turtles. There’s even a shipwreck to explore. On Rose Island, we were the only people on the beach! It’s a perfect spot to do water sports with our tender. What’s the craziest thing that’s happened out on the water? 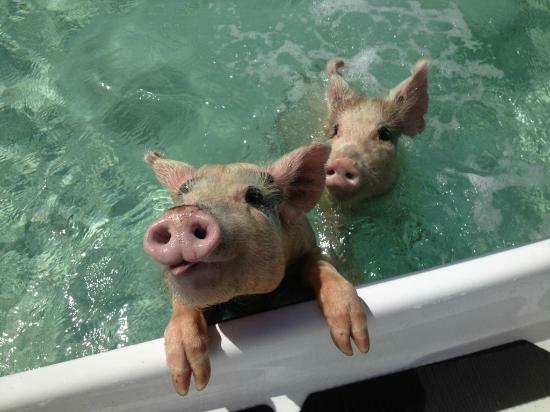 At an island in the Exumas (an area of the Bahamas with over 360 islands), we saw swimming pigs that you can get in the water with. It was really cool because when they hear the motor, they swim out to the boat. What’s your favorite boating itinerary? We get a mix of people on our boat from first timers to people who like to sail but want to try a power boat. The nice thing about our power catamaran is that you still get the sailing feeling even though you’re actually on a power yacht. You get a sense of freedom with our boat because we don’t have set itineraries. Instead, we cater to each guest and provide recommendations to decide where they want to go and what they want to see [and eat]. Our guests get the feeling that it’s their yacht and they own it, which is great. I really love meeting new people and helping create unique memories is rewarding for me. What are some itinerary recommendations? One option I love is going to Elliott Key, which is only accessible by boat and great for snorkeling. (I’ve been scuba diving since I was 15.) There’s even a ceviche tender that comes by! Our amazing chef Holly can prepare a nice lunch based on our guests’ tastes and dietary restrictions. Guests can end the day admiring the sunset and the Miami skyline in the background. But depending on timing, we customize the day or days to each guest’s liking. If it’s a multiple day booking, I recommend going to the Bahamas or the Florida Keys. How’s your experience with Sailo been? In one word: seamless. The site is easy to use, and we love it. I’m in constant contact with co-founder, Delphine, and we’re really happy to have this platform to reach out to renters. Stay tuned for next week’s Q&A with Captain Lance, the captain of Andrea’s power catamaran. 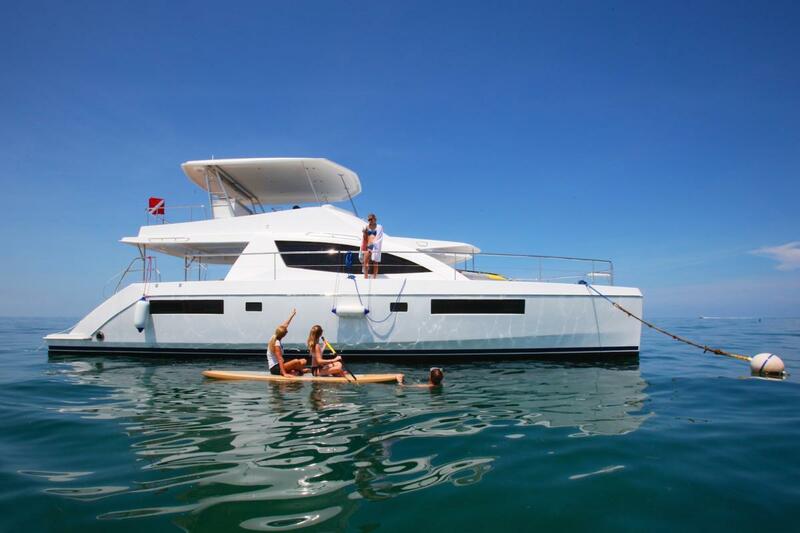 It’s the perfect boat to rent for spring break as well as boat parties and corporate or personal entertaining. Andrea knows how to plan truly unique cocktail cruises in Miami. All you have to do is rent a boat, show up and enjoy your day out on the water in Miami!